The child of a comedy couple and maintaining his status as one of the biggest comedy actor in Hollywood for almost two decades, Ben Stiller is as bankable a funny-man as you’re going to get. Transitioning easily from gross-out humour, to indie fare, ridiculous comedy to action blockbusters, actor to director, Stiller has achieved a lot in his career so far. 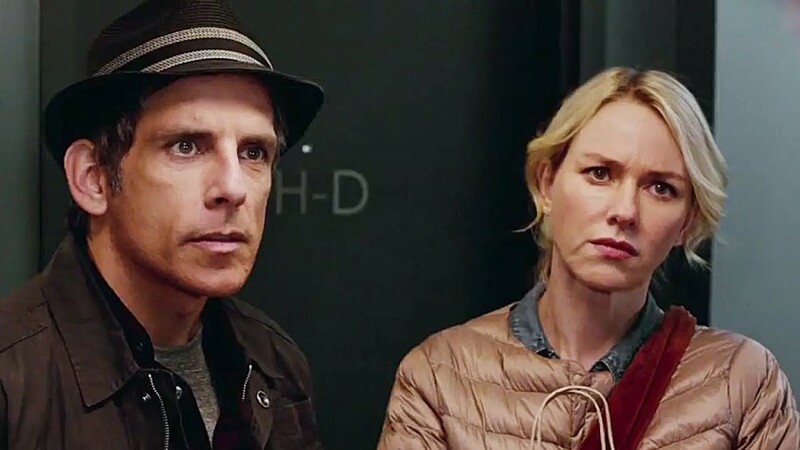 As his latest film While We’re Young is about to be released on Blu-ray, DVD and digital download, and sees the actor play a man in the midst of a mid-life crisis, struggling to keep up with the youth of today, we take a look back at Stiller’s career so far, confident that there’s much more left to come. After making his name in smaller roles and TV with his fellow ‘frat-packers’ Owen Wilson, Will Ferrell, Jack Black and Vince Vaughn, Ben Stiller landed his first leading role in Farrelly Brothers’ comedy There’s Something About Mary. Starring alongside Cameron Diaz and Matt Dillon in the offbeat romantic comedy about a former geek who realises that he’s still in love with his high school prom date, Stiller goes from one hilarious scene to another as he attempts to rekindle the relationship. But private investigators, dogs and suspicious hair gel stand in the way. Working alongside the great Robert DeNiro gave Ben Stiller his next big role, as the poor fiancé meeting his judgemental father-in-law for the first time. DeNiro is at his comedy best as Stiller’s Greg Focker digs himself a very deep hole, from milking cats to destroying a hand-made wedding altar. But as Focker gets more and more suspicious of his in-law’s past, DeNiro’s Jack Byrnes ups the ante in an attempt to drive his new son away. With Meet The Parents giving audiences a taste of how well Stiller and Owen Wilson could play rivals, Zoolander took it to the next level as the pair played warring male models. When Derek Zoolander (Stiller) loses his crown to ‘so-hot-right-now’ Hansel (Wilson), his career takes a nose dive and it’s up to the dim-witted model to get his life back. Packed full of celeb-cameos and including a catwalk-off, a tragic petrol fight and an attempted assassination, Zoolander showcases Stiller’s ability to tackle ridiculous comedy with heart. After a string of successful romantic comedy roles, Stiller starred and directed the big budget action comedy Tropic Thunder. Showing strokes of genius by casting A-listers such as Robert Downey Jr and Tom Cruise in unrecognisable roles, the film was a parody on Hollywood and filmmaking as a group of actors are unknowingly thrown into a drug war and kidnap situation and believe they must act their roles to get out alive. Stiller earned his indie credentials by signing up to Noah Baumbach’s Greenberg, where he played a forty-something carpenter tasked with house-sitting his successful brother’s home. While there he meets his brother’s young PA and begins putting his life back together. The film showed a more reserved Stiller and broadened the actor’s range in the eyes of his fans. Working both behind and in front of the camera once again, Ben Stiller took the 1947 classic into the modern day as he played a Life magazine employee who must track down a missing photo negative for use on the final print cover. His quest takes him away from his mundane life into one of adventure as his fantasies play out for real and he gains the confidence he need to ask out a co-worker. Teaming up once again with cult director Noah Baumbach, Stiller plays Josh, a man stuck in a rut professionally and romantically. When him and his wife Cornelia (Naomi Watts) meet 20-something couple Jamie (Adam Driver) and Darby (Amanda Seyfried), who celebrate the retro lifestyle and encourage them to try hip new activities, their relationship gets a new lease of life and Josh is inspired to finish his documentary. But the appeal of the young couple soon wears off when Josh realises that they aren’t as genuine as he once thought.